Here is my double wedding ring mini quilt class sample! My lovely Quilting class have a expressed a desire to make a Double Wedding Ring quilt as soon as possible. 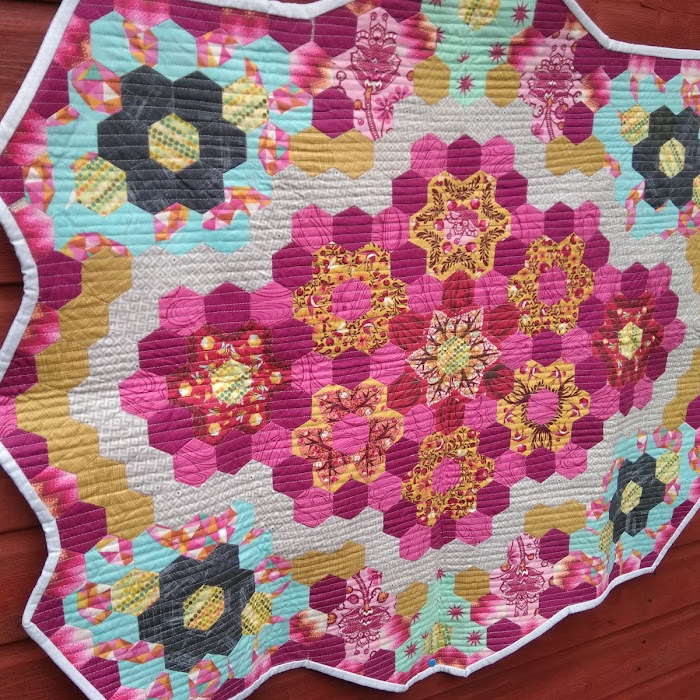 I thought it may be better to give them an introduction to curved piecing and the basics of constructing the double wedding ring quilt before tackling such a huge, but fun, task! Hence the mini quilt pictured! I used foundation paper piecing to make the Rugby ball shaped sections. 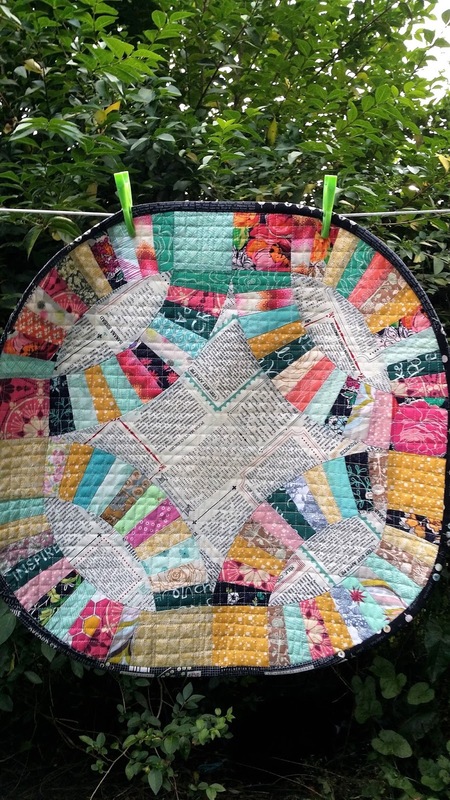 This was a fantastic scrap busting exercise and I used all scraps for those sections. The middle of each Rugby ball and the centre section were all cut from one fat quarter of fabric. I quilted with an all over grid design using Aurifil 50wt thread. My go to thread for piecing and quilting. This provided the texture I wanted. 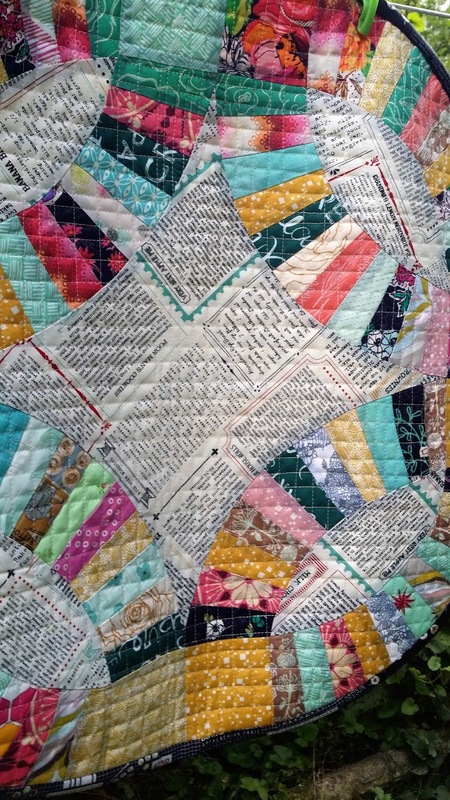 I then found some leftover binding from a previous quilt and thought the black and white was perfect for this mini. My class are very excited about tackling this project and I am looking forward to seeing and sharing what they produce with you all!